The Farmers Alliance for Integrated Resources (FAIR) has made a fourth annual donation to a local emergency assistance organization in Boulder County. On 12/1, FAIR donated $1000 to Emergency Family Assistance Assoc. (EFAA), which provides food, shelter, and basic necessities to low-income individuals and families, seniors, and persons with disabilities. In previous years, FAIR has donated several tons of food to the OUR Center in Longmont. FAIR members represent a wide variety of farming and ranching operations in Boulder County. The organization has sponsored and participated in farm tours, water tours, and the Boulder County Fair, with the goal of educating the public about responsible and sustainable farming in Boulder County, and coexistence among all types of farming operations. FAIR’s member farmers contribute substantially to the local economy through crops and livestock feed that return as local bread, sugar, soy products, beer, livestock, and dairy products. 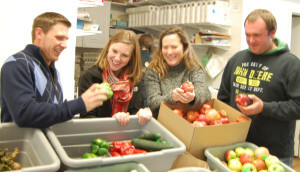 EFAA distributes over 12,000 pounds of food to 300-350 households weekly. Current needs include: Nonperishable canned protein items (includes meals, peanut butter, tuna, refried beans, chili), perishable fresh foods and dairy, canned fruit, baby food and breakfast cereal, baking mixes and condiments, toilet paper and diapers. Currently EFAA is collecting holiday and winter items including coats, hats and gloves for children, and toys for middle-school age boys. FAIR president and local farmer Dan Lisco said the organization, which represents the voice of local farmers in Boulder County, is proud to continue its tradition of assisting nonprofit organizations in Boulder County that help people meet basic needs. 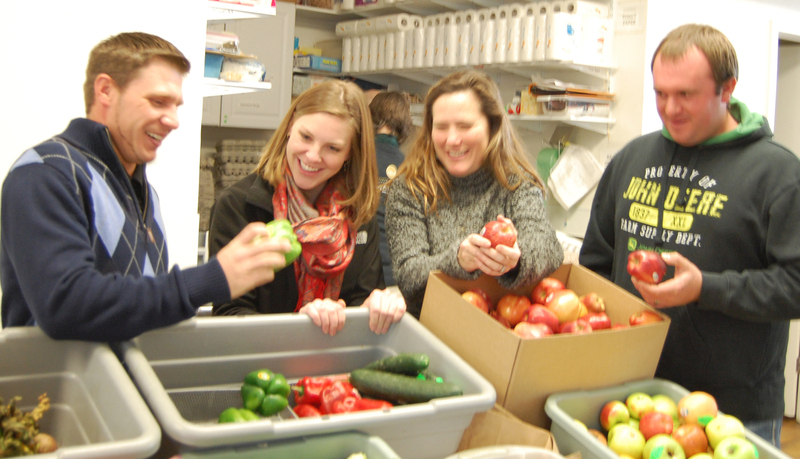 Photo attached: Local farmers join EFAA staff in the food pantry, at EFAA’s Boulder office.